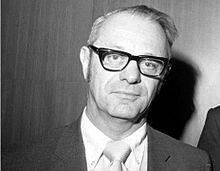 Igor Ansoff was a Russian/American mathematician who applied his work to the business world. He is known as the father of Strategic Management. Igor was born to a Russian mother in Vladivostok and an American father. Until he was 18 years old, Ansoff grow up in Russia. He then moved to New York and studied mechanical engineering and physics. In 1950 he joined the Rand Corporation, a leading think-tank organization focused on NATO. The Matrix was first publicized in the Harvard Business Review in 1957, and has given strategists, marketing professionals and business leaders an effective way of discovering growth opportunities. The Matrix is sometimes referred to as the Product/Market Expansion Grid. It shows four ways that businesses can grow, and assists players to think through the risks associated with each option. As Amazon identified potential strategy options, it developed evaluation criteria and rated various alternatives. This tool helps organization identify growth approaches in four keys areas. These strategies concentrate on developing and introducing new products in existing markets. This is riskier than the marketing penetration and market development approaches. These strategies concentrate on developing and introducing new products in existing markets. This is riskier than the marketing penetration and market development approaches..